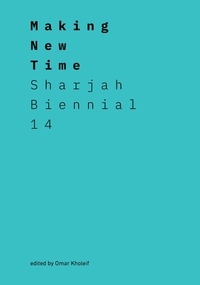 Celebrating Sharjah Biennial 14, this volume shows how artists respond to shifts of culture in an era of great social, political, and global change. The Sharjah Biennial showcases a global perspective on contemporary art. In this book, artists respond to shifts in artmaking as material culture adapts to environmental destruction and climate change. It also explores how social, political, and technological change has altered the ways we exist in the world. Featuring the work of over thirty contemporary and modern artists, the book addresses perceptions of how history is told and re-told. It poses questions and provocations about the state of our existence through stories, poems, and essays.